“1”. Game: what is it ? I know, it’s kinda early to post a picture, but I’m leavin’ for the week end to see an old friend… I shall be back on sunday ! Love the composition and abstract nature of it. Great shot. 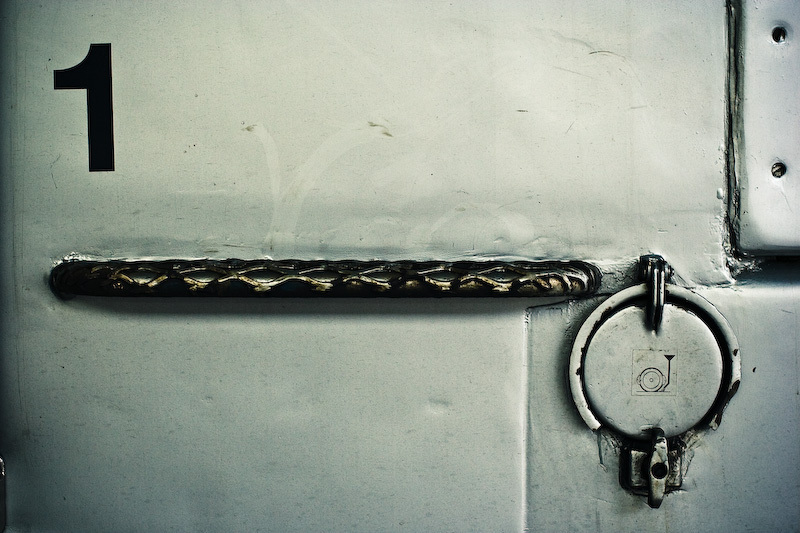 Some part of a train… or a truck…?! ffiou, tu nous diras hein ? The colour tone is brilliant! C'est facile, un marche-pied de cabine de loco, et une trappe de sablière.